We all love a plate full of cheesy nachos. 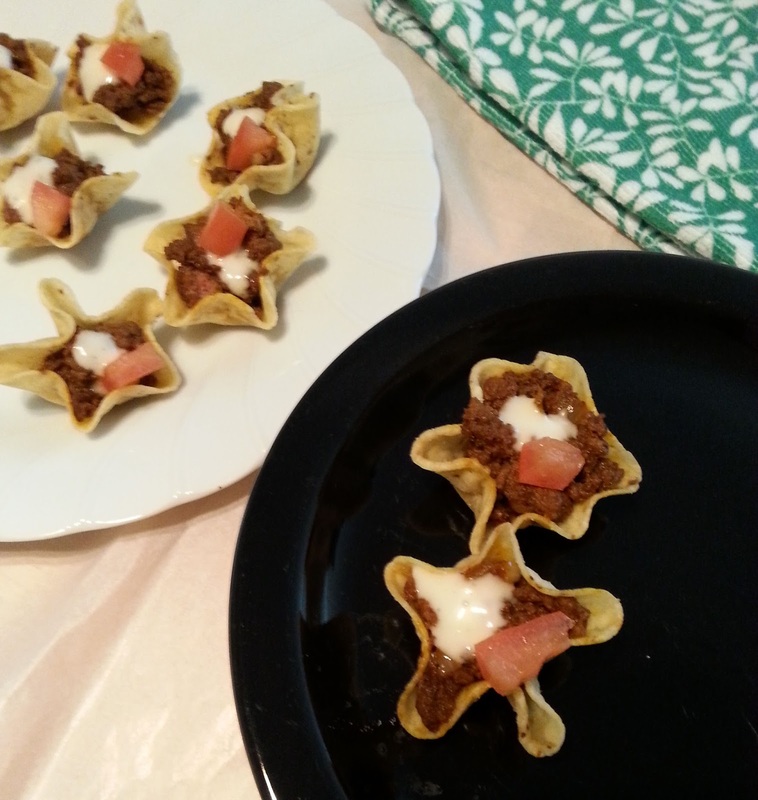 But I have to say these delicious adorable ranch nachos cups are a great alternative. In skillet over medium heat, add ground beef, onion, salt, pepper, chili powder, garlic powder, worcestershire sauce, crumble meat as it cooks, add water, cook until no loner pink. Stir in cheese and remove from heat. Place chips in a single layer on serving dish. Fill chips with meat mixture. Top with ranch dressing and tomato.